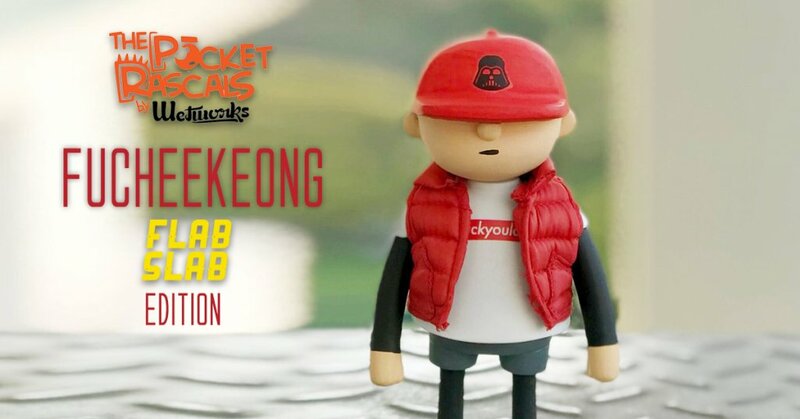 In the words of FLABSLAB “Say hi to FuCheeKeong, the biggest shithole hypebeast” Ha. A new edition of Carlo Cacho aka Wetworks “The Pocket Rascals” series. Will you take the W or the L as pre-orders have opened up, don’t worry you won’t have to queue up like a SUPREME drop. Using Flip from The Pocket Rascals by Wetworks as a platform, we now have our own version. Meet FuCheeKeong, the hypebeast that comes with his very own handmade puffy jacket as shown in the pics.